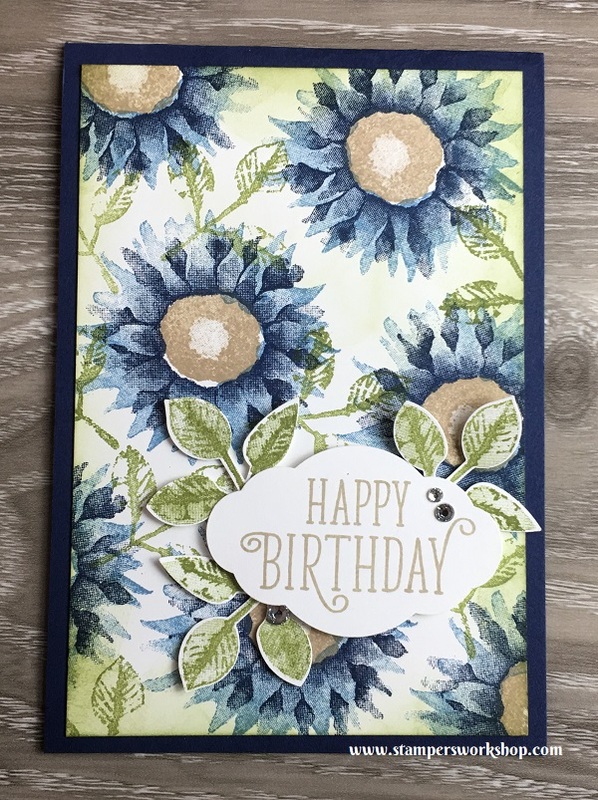 Hi, last week I posted a card using the Painted Harvest stamp set and I mentioned the end result didn’t quite match what was in my head. I decided to give it another go. The basic card design is the same however I have changed the orientation and darkened the colours. TIP: You can use your sponge daubers or sponges to change the colour of the linen thread. For my card, I thought the linen thread was too pale. I used Chocolate Chip ink to add some more colour. It also ties the thread into the inking around the Designer Series Paper and the Chocolate Chip card base. Never give up on an idea. Sometimes it doesn’t work the first time. 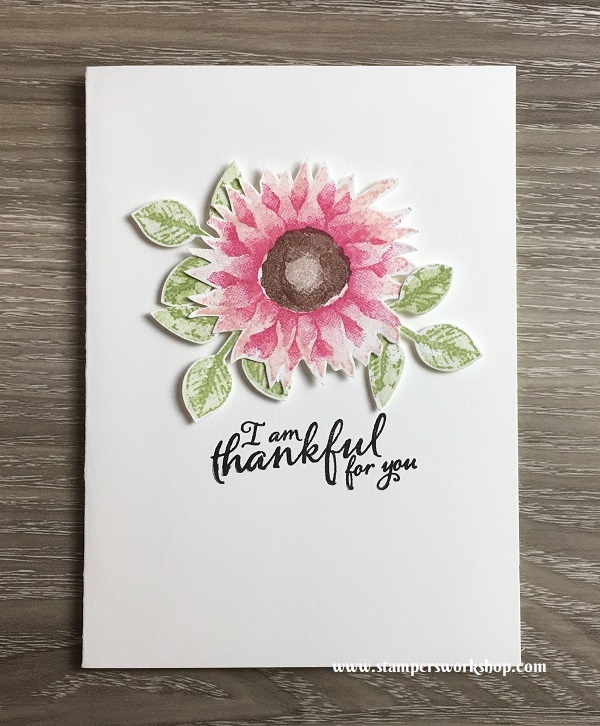 Artists practice and practice their craft but somehow we crafters think that every card of ours has to be perfect first time, every time. It’s okay to try something, change a few things and try again. It is how we grow and learn. Plus it is always heaps of fun to craft! 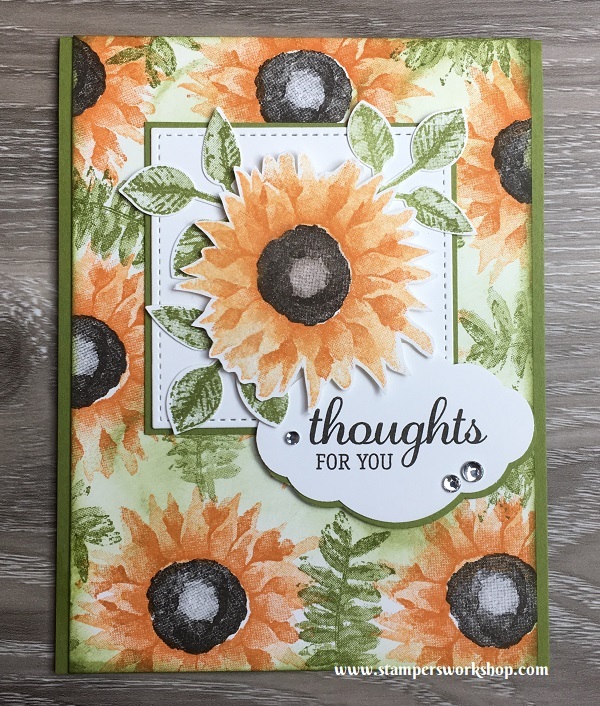 Don’t forget to take the opportunity to score some bargains, and stock up on some essentials, during the World Card Making Day and Designer Series Paper Sale! 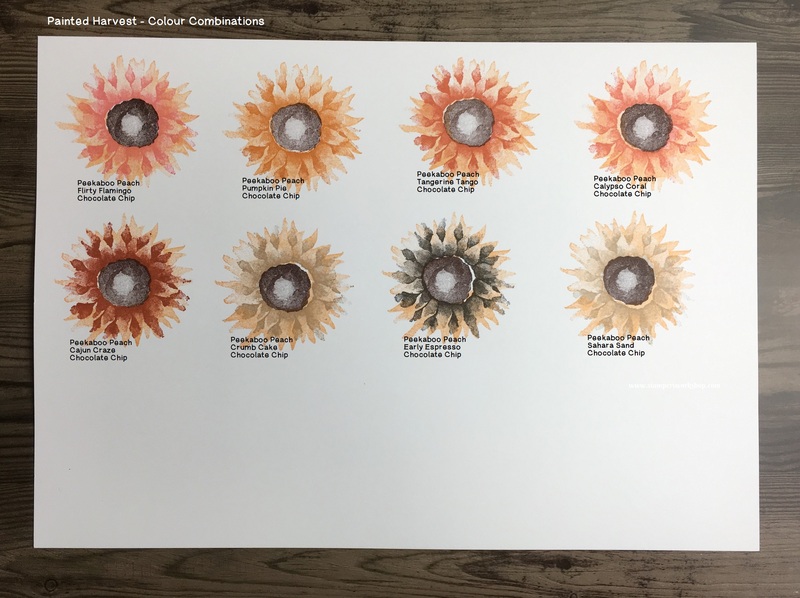 Hi, over the last week you’ve seen some of my favourite colour combinations when creating with the Painted Harvest Stamp Set (and bundle). There are, however, many, many other combinations you could use. 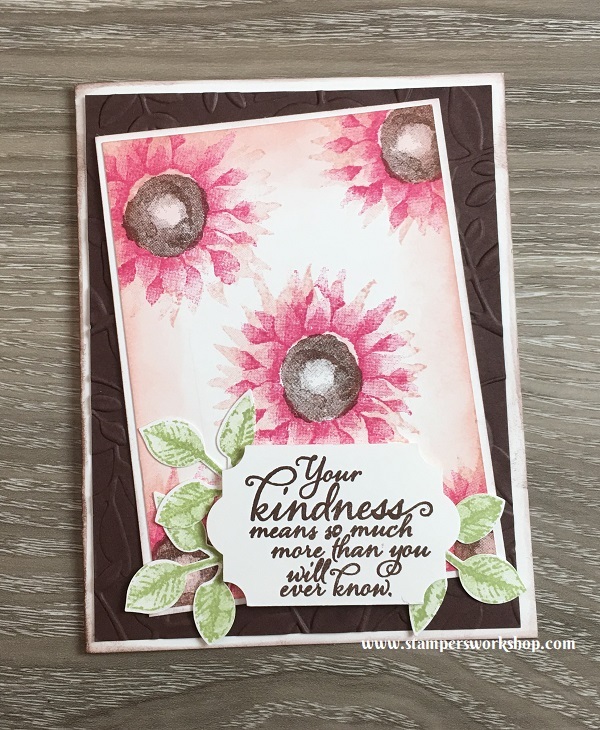 Today, I am sharing a few more you may like to consider when creating. 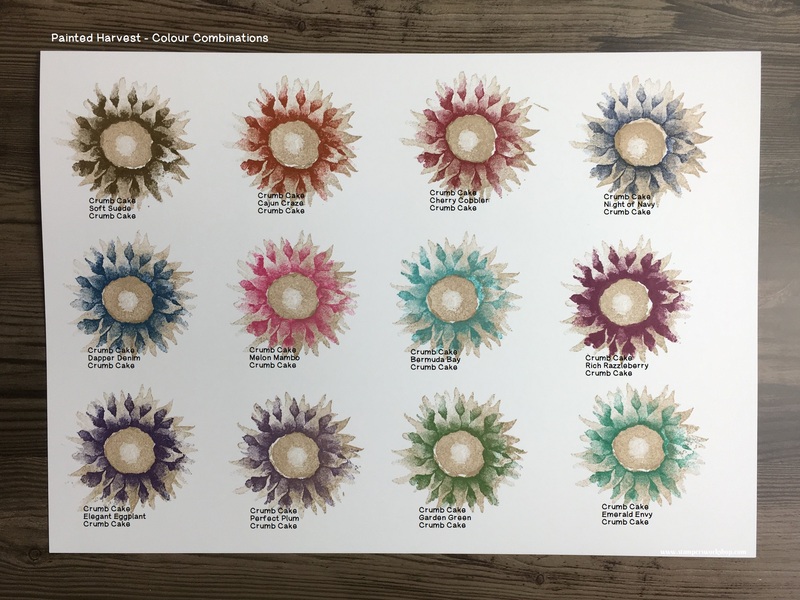 Please note, this is just the tip of the iceberg when it comes to the different colour combinations you can come up with. 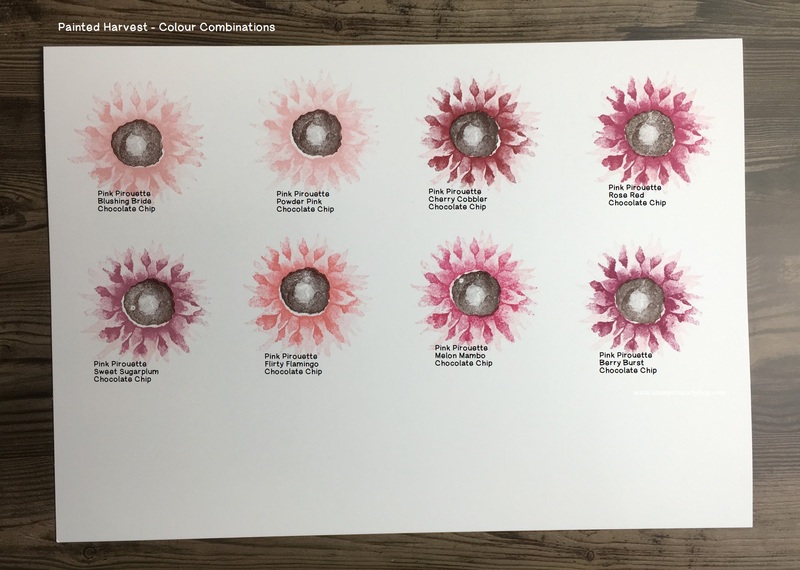 I have categorised the combinations based on the base stamp colour. I hope you take time to really experiment with the different colour combinations. Some will look amazing! Others…not so much. It’s all just trial and error, and part of the fun of creating! 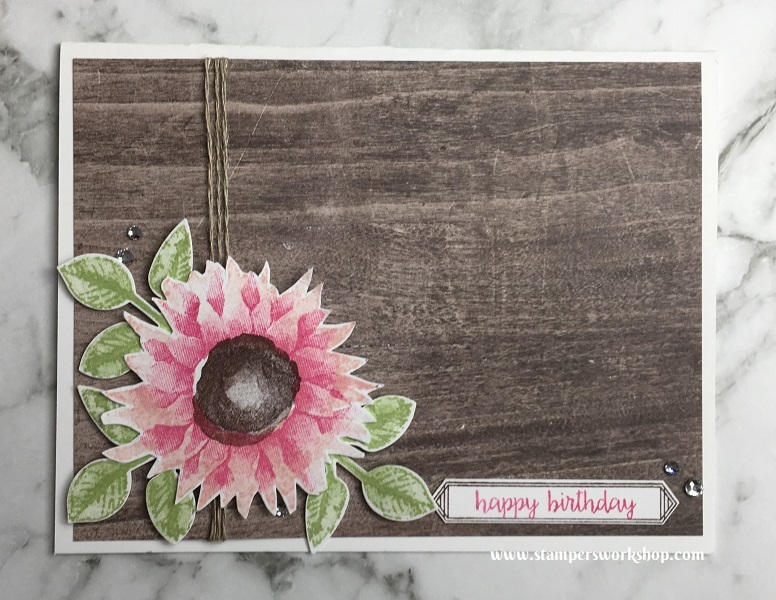 Hi, my love affair with the Painted Harvest stamp set continues. 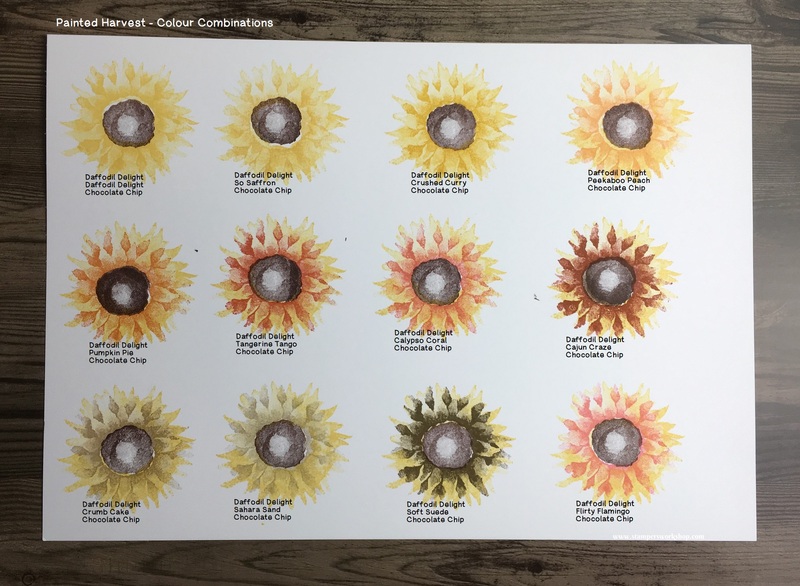 If you’ve ever wanted to make your own background paper, this stamp set is a great one for you. 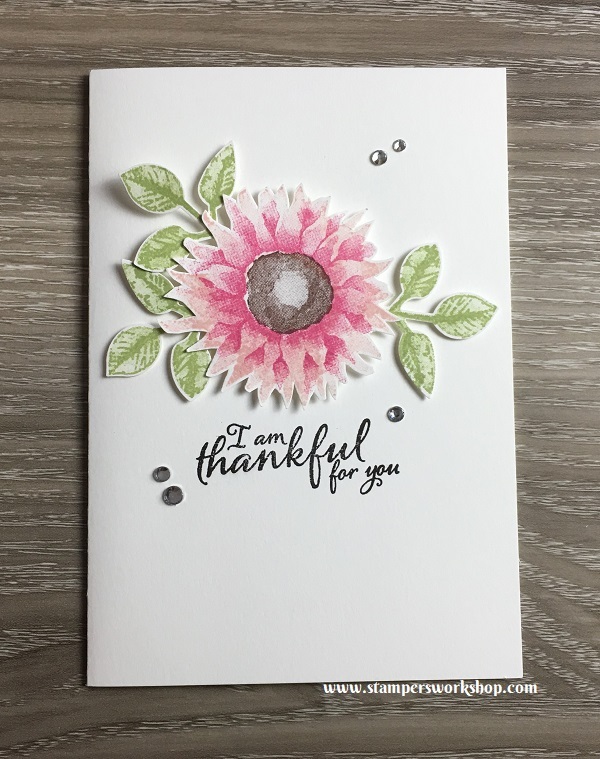 I stamped the flower repeatedly on Whisper White cardstock. 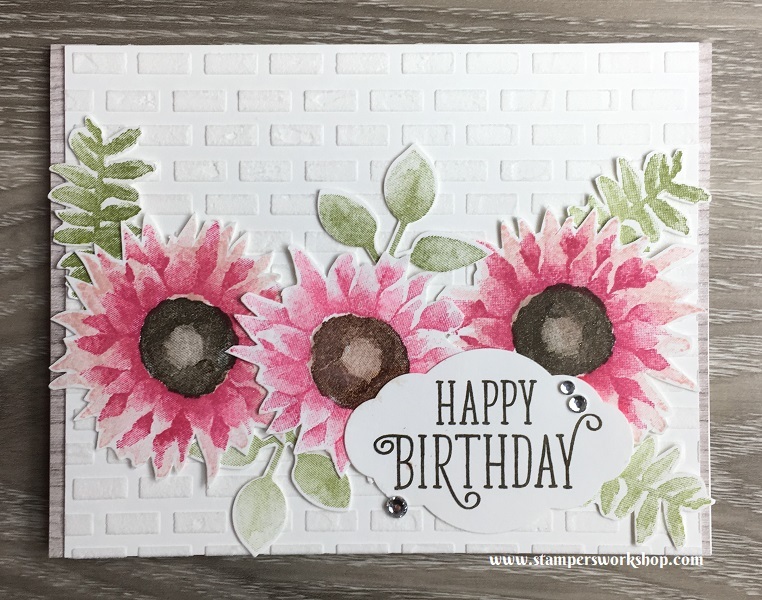 Using a stamping sponge, I added some more Blushing Bride ink to the edges of the centre panel. It gives it a more rustic look. 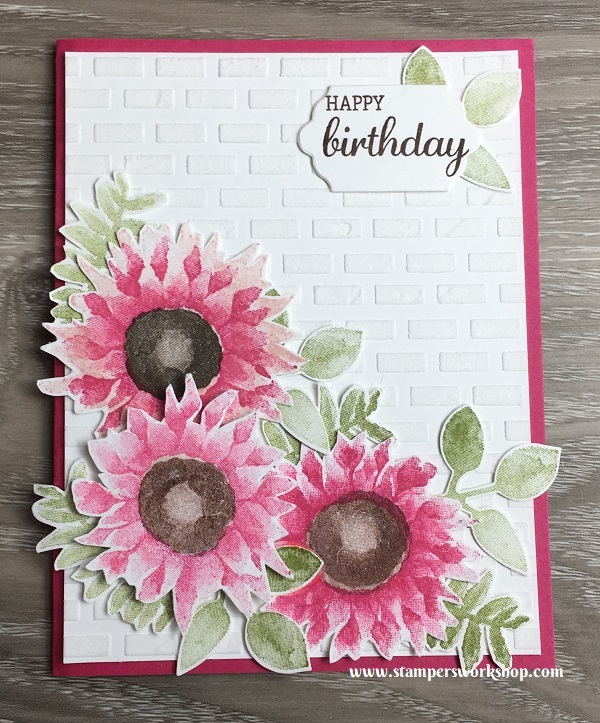 I did toy with the idea of adding a separate flower and popping it up with Stampin’ Dimensionals but thought the card would look too busy. 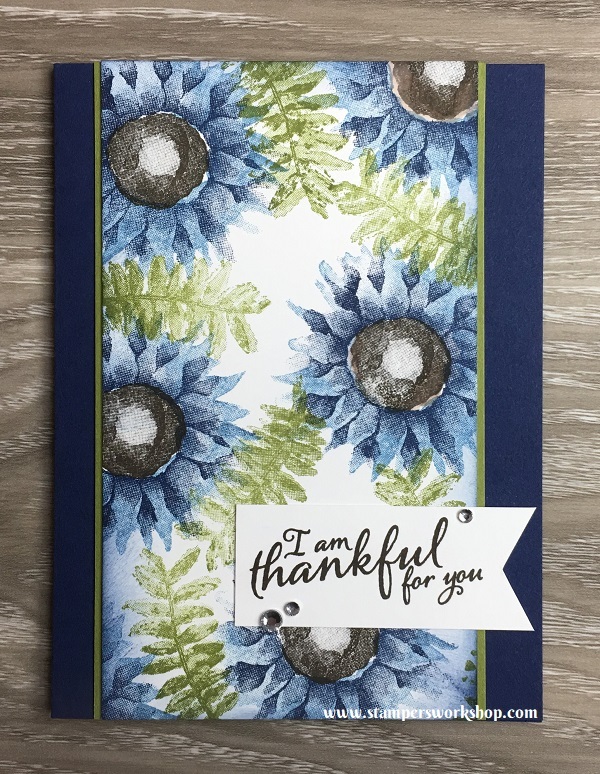 Instead, I popped up the sentiment and added some punched out leaves. 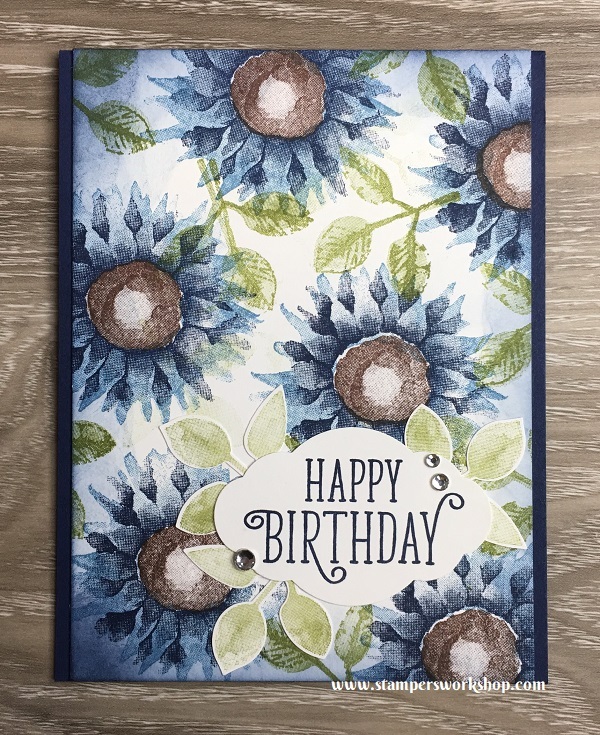 I did want a touch more texture on the card so I put a sheet of Chocolate Chip cardstock in the Layered Leaves Dynamic Textured Impression Embossing Folder and ran it through the Big Shot. You don’t get to see much of the pretty pattern it creates but I think it adds a nice touch. 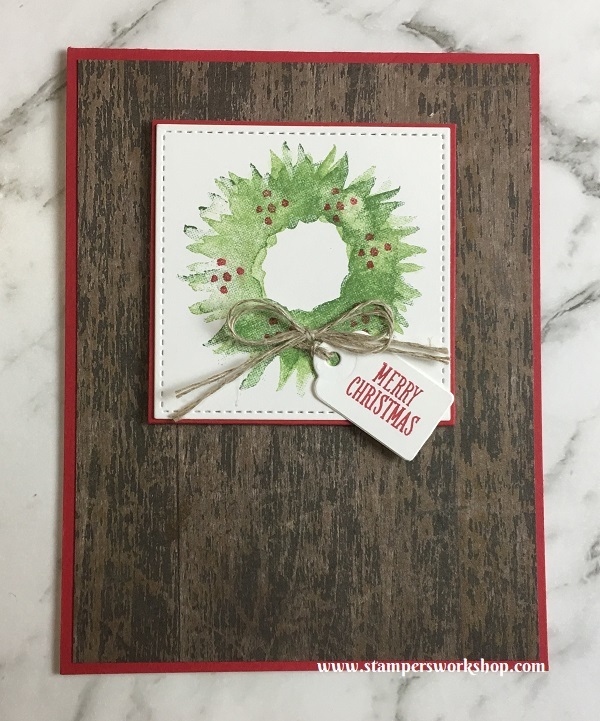 Hi, the “Painted Harvest” stamp set (and coordinating punch, which can be purchased as a bundle) continues to be one of my favourite sets from the new Holiday Catalogue. 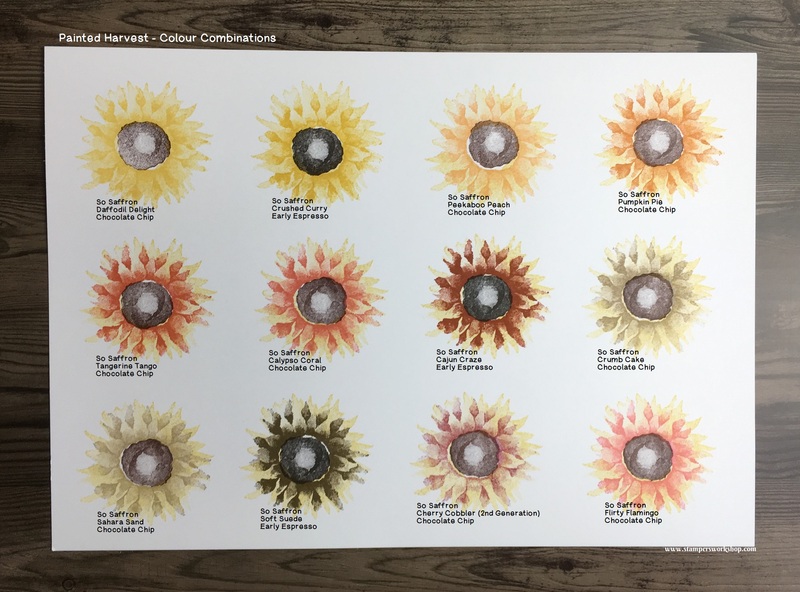 One thing I am enjoying playing with is the sunflower and trying out different colour combinations. One of my current favourites is Blushing Bride, Melon Mambo, Chocolate Chip with Pear Pizzazz leaves. 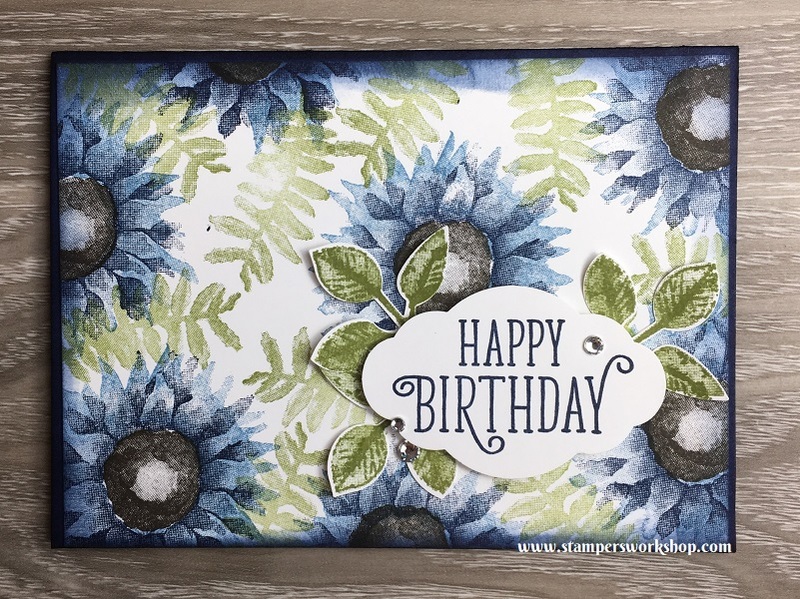 Don’t forget to try second generation stamping when playing with solid images as it will really increase the number of different looks you can create. In the photograph below, I’ve used Blushing Bride, Melon Mambo, and Chocolate Chip. 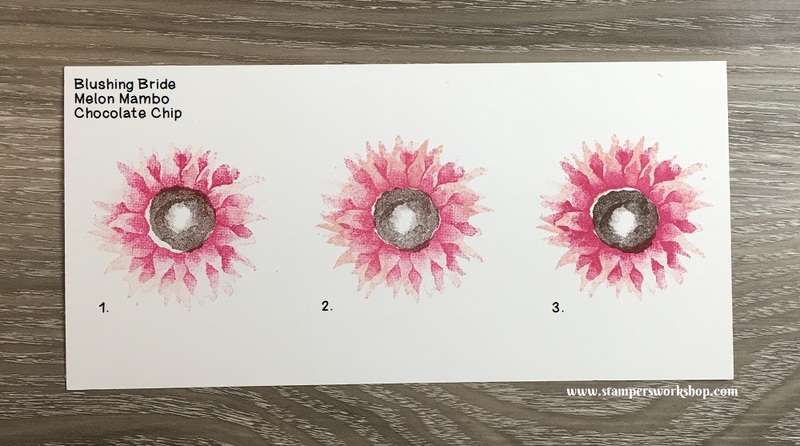 For the first example, I ‘stamped off’ before stamping the final image. I repeated this for all of the colours. 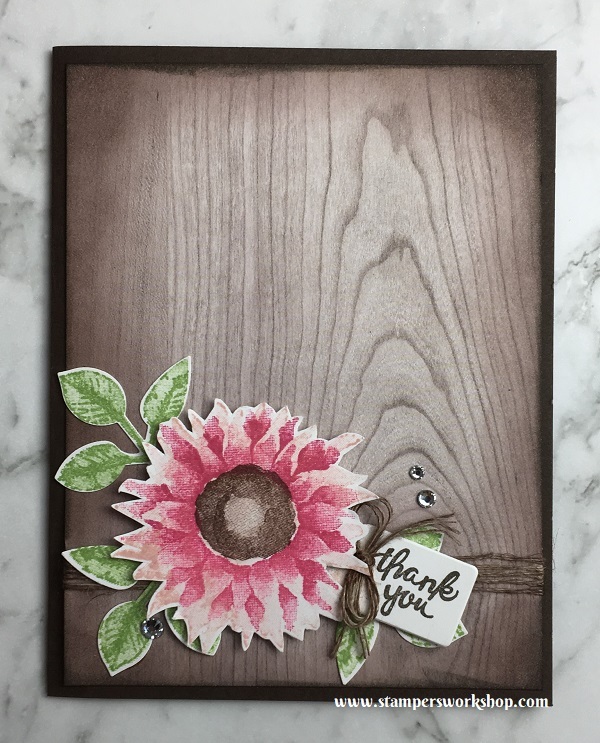 For the second example, I stamped the Blushing Bride base but then ‘stamped off’ with the Melon Mambo. And for the last image, I stamped all colours ‘full strength’. 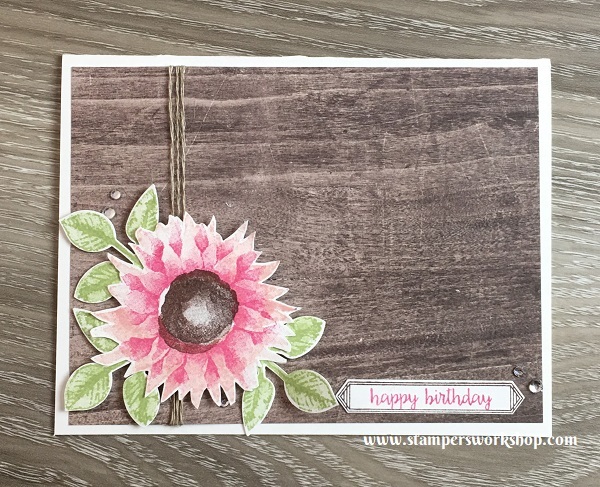 I’ve used the 2nd example of colour options to create two very simple but very pretty cards. 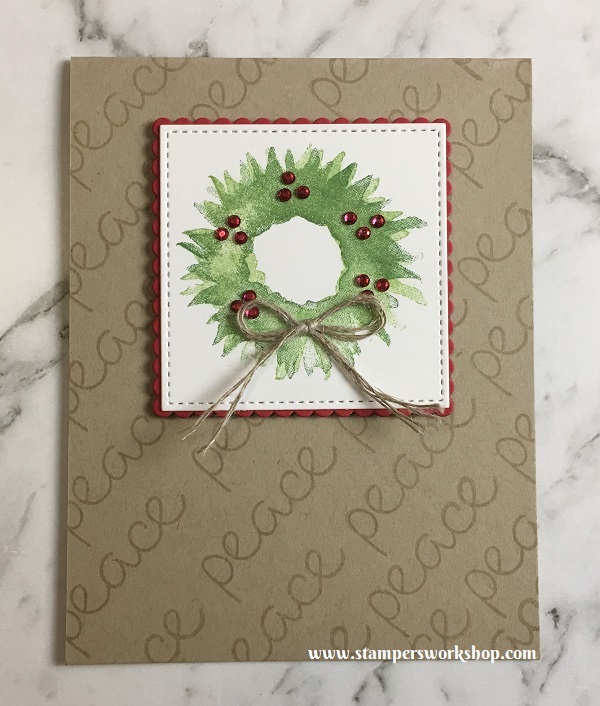 If you want to ‘step up’ the card a little, consider adding a few rhinestones. They are a very simple way to step your card up a notch and who doesn’t like a little bit of bling? 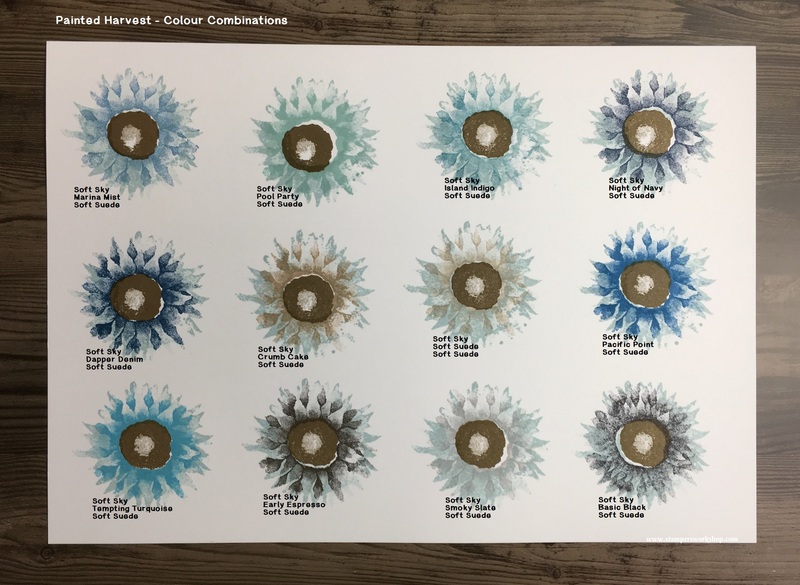 Do you have any colour combinations you are loving using with this set? If so, I’d love to hear your favourites! 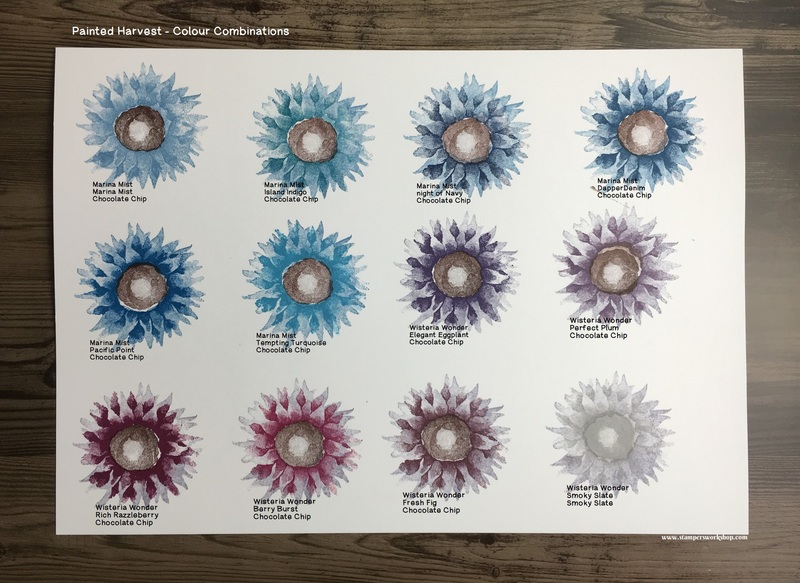 If you would be interested in seeing some more colour combination charts, like I shared above, please let me know as I’d be more than happy to create and share some more.